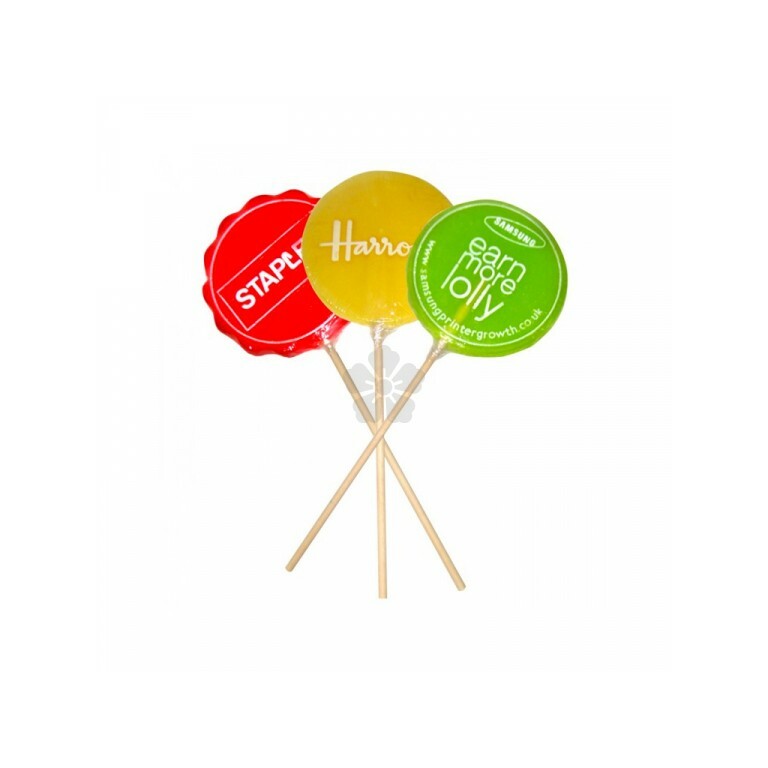 Give your message some flavour with our personalised Large Lollypop. 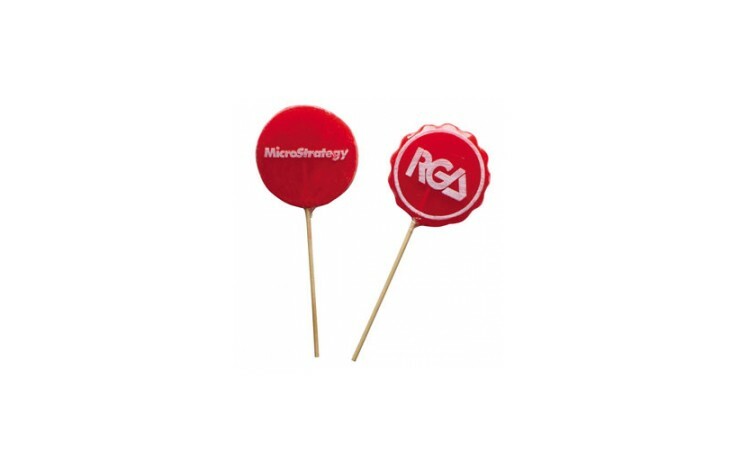 Custom branded with you design on the actual lolly, we raise your message and brush this with edible colour wash giving a smart and unique product. Made to order in the UK, pick from a wide range of flavours (including strawberry, banana, cherry and more!). 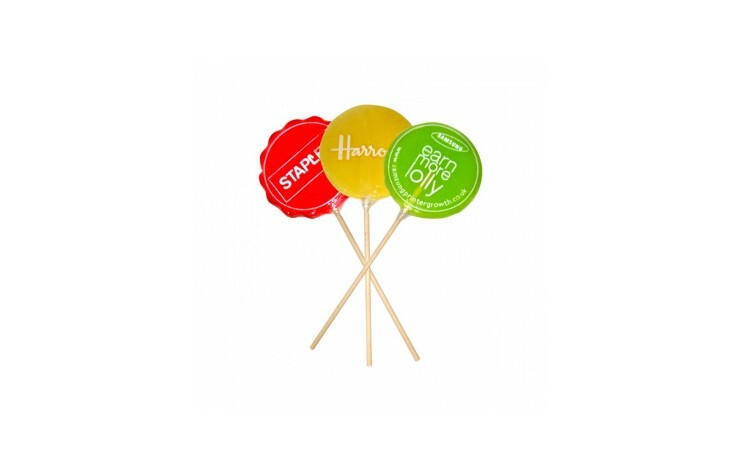 These lollies can also be moulded to any shape in a 90mm diameter size, and Pantone matched as closely as possible making this item truly bespoke! Individually cello wrapped. Bespoke shape within 90mm diameter size. 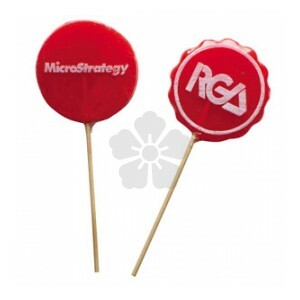 Design raised on the lolly - truly unique product. Wide range of colours and flavours to pick from. Note: Setup is charged at £165.00 per colour.